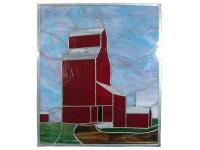 Window panel depicting a prairie grain elevator reminds one of the history of the prairies. 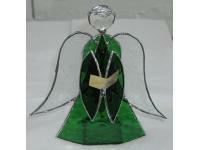 Green standing angel with song book featuring a frontal view. 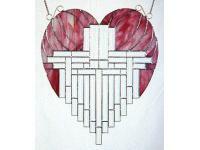 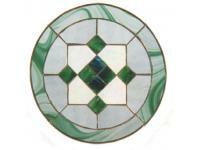 Round suncatcher panel composition of green and clear glass high light this piece 14"
Heart shape of pink glass and 48 bevels result in a unique window panel that reflects a rainbow of color when exposed to the sunlight.